It’s that time of year again, when the holiday shopping frenzy commences and shoppers go in search of that perfect gift. 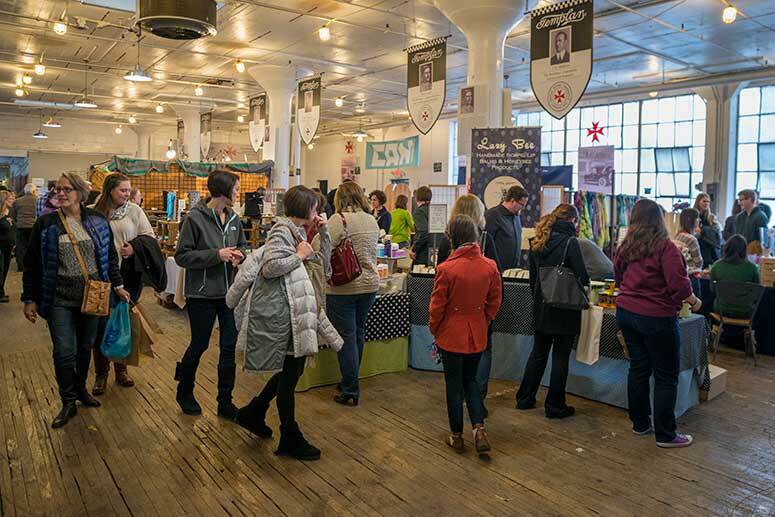 Cleveland is a maker town, and there is no shortage of artisans pedaling everything from photographs, paintings, and prints to barbeque sauce, hats, and gloves made from alpaca. Few things are more thrilling than discovering a great piece by an unknown artist, and the Cleveland Institute of Art's Student Holiday Sale is a prime chance to do just that. CIA Student Holiday SaleSlated for Friday, Dec. 1, and Saturday, Dec. 2, CIA's annual sale provides not only the opportunity for students to showcase their work, but also for holiday shoppers to score some deals on one-of-a-kind creations. 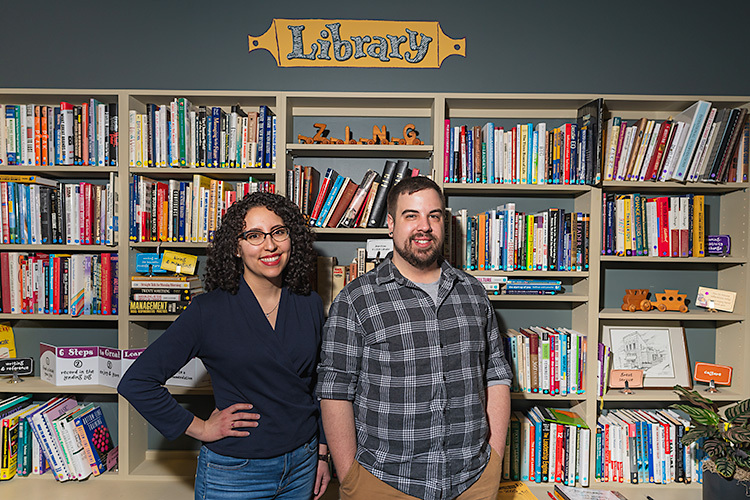 According to student co-organizer Alyson Hollobaugh, featured works range from glass to metal to ceramics to photography to other media; other offerings include handmade books from bookmaking students or prints and stickers by illustration students. “It’s really diverse,” says co-organizer Meghan Sweeney. 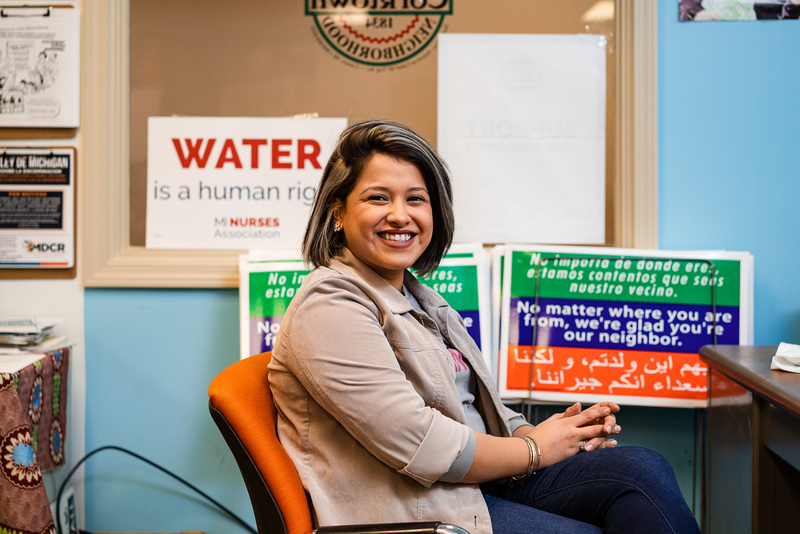 “We make sure we have as many different levels—from freshmen to seniors—as possible to have good representation." Friday, December 1 from 6:30 to 9:30 p.m.
Saturday, December 2 from 10 a.m. to 8 p.m.
CIA student groups also get involved with the sale, says Sweeney, citing the Game Design club as one of this year's contributing groups. Black Friday has become a national holiday in its own right—prompting Americans to sacrifice sleep (and sometimes sanity) in the name of steep retail bargains the day after Thanksgiving. But this Black Friday, Nov. 24, at 78th Street Studios, patrons aren’t shopping for televisions or the newest video game system, but rather for unique works of art within 170,000 square feet of approximately 40 galleries, studios, recording studios, and performance space. Sadowski is the owner of E11even 2, which offers paintings, prints, Christmas ornaments, and jewelry at the event. “We’re competing with big box [retailers], but it’s like a little stop, shop, and get a lot of stuff from local artists,” she says. Dates and Hours: Saturday, November 25 from 11 a.m. to 4 p.m.
To celebrate Support, Connect, Shop: Small Business Saturday at Gordon Square on Saturday, Nov. 25, many of the 78th Street Studios tenants will then set up in the Gordon Square Arcade at W. 65th Street and Detroit Avenue. Artists include Sadowski; painter Eileen Dorsey; Earth-minded artist Susie Frazier; graffiti and pop artist Rick Sans; and Rob Sadowski, creator of repurposed automotive light fixtures, among others. 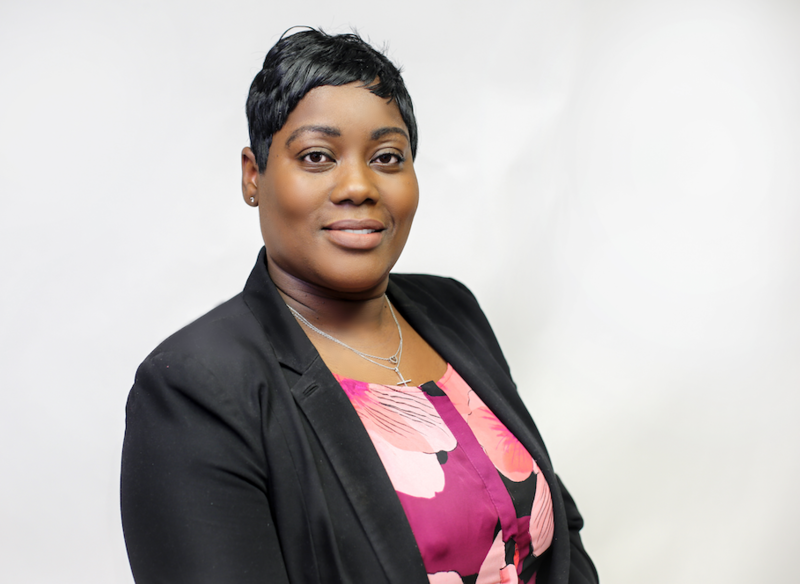 “The objective is to connect the neighborhood and introduce Gordon Square residents to the businesses at the other end of the area that they may not be familiar with,” says Dorsey. “Events like these that support the community also assist in building them. Homeowners, businesses, and residents all benefit when money stays in the area and artists play a crucial role in the enrichment of a community." Most of the Gordon Square retail and restaurant businesses will be participating in the event, which runs from 11 a.m. to 4 p.m. 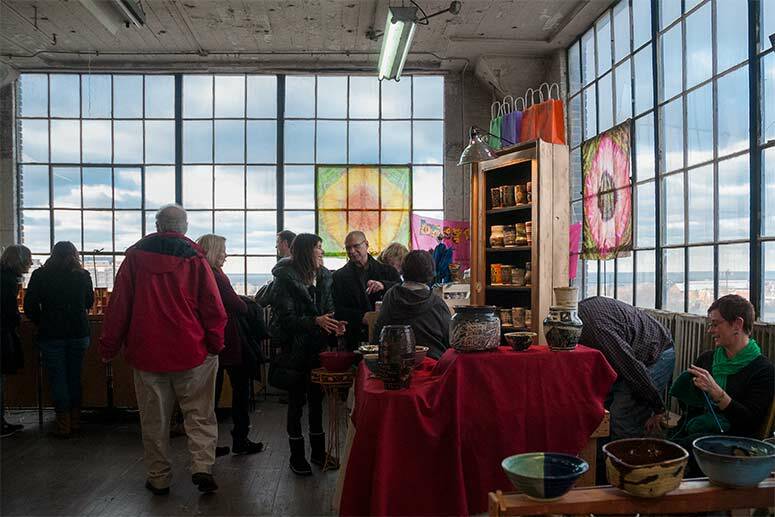 Celebrating its 30th year, the ArtCraft Studio Show has long been a holiday shopping destination for a wide variety of handmade products from both local and regional artists. The event originally began in the Tower Press building down the street and immediately drew a crowd. Today, 10 artists share 5,000 square feet of studio space as part of a co-op on the sixth floor of the ArtCraft building. Once known as the “Bohemian Department Store,” some of the artists in the building have participated in the show for decades. Saturday, December 3 from 10 a.m. to 7 p.m.
Sunday, December 4 from 11 a.m. to 5 p.m.
Not only do the 10 resident artists participate, but so do five other studios in the building, as well as more than 50 invited artists. "It’s grown from [a small group of] artists who wanted to share their space to almost 70 artists [participating],” says Yasenchack. Yasenchack says about 20,000 post cards are distributed each year, and the turnout reflects that marketing. Fount Leather owner Jackie Wachter, who has a studio on the sixth floor and recently opened a storefront in the Gordon Square Arts District, says the attendance is amazing. “I think we had 5,000 people through last year,” she says. Like the ArtCraft show, the Heights Arts Annual Holiday Show has also blossomed in its 16-year run. 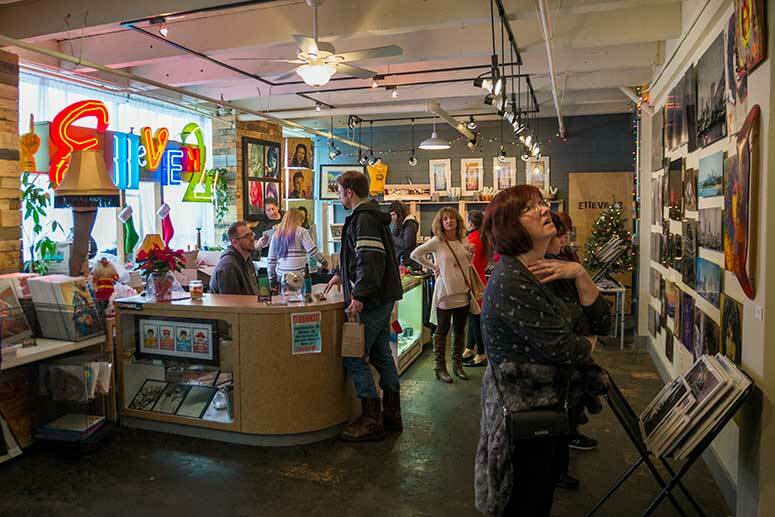 What started as a pop-up event in 2002 to showcase a handful of local artists now hosts than 100 area artists for two months of perusing and shopping. 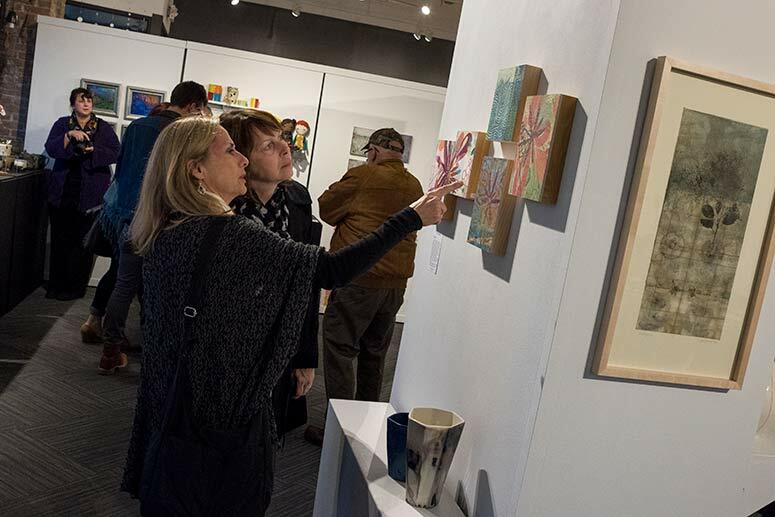 Held in Cleveland Heights, the 16th annual show opened on Friday, Nov. 3, and runs through Saturday, Dec. 30. The show spotlights visual artists, crafters, writers, and musicians from Northeast Ohio. Almost 20 of the artists are new this year, according to store manager Courtney Young. Furthermore, the store is open seven days a week, “so you don’t have to fight all those crowds on that one day,” Young says. Mondays, Fridays, and Saturdays from 12 to 9:30 p.m.
Tuesdays and Thursdays from 12 to 6 p.m.
Sundays from 12 to 5 p.m. This year, the Mandel Foundation provided funding for Heights Arts to commission a ceramic and metal menorah made by Seth Nagelberg and three pewter mezuzots made by Pamela Argentieri and Matthew Hollern. All three are instructors at the Cleveland Institute of Art. 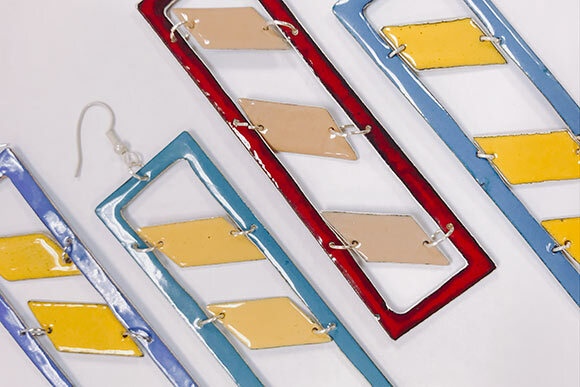 Members of the Jewish Community Center and the National Council of Jewish Women receive 10 percent off the Judaic works, while Heights Arts, Bay Arts, and Valley Art Center members receive 10 percent off of all their purchases. Also new this year is a gift registry. Shoppers can write down what they want, and Heights Arts will keep the list on file for potential gift-givers who stop by the store. Special holiday shopping nights are planned throughout the season, including “Manly Mondays” on Friday, Nov. 20, and Monday, Dec. 11, when significant others can savor local brews, shop from gift lists, and enjoy complimentary gift wrapping for all purchases. 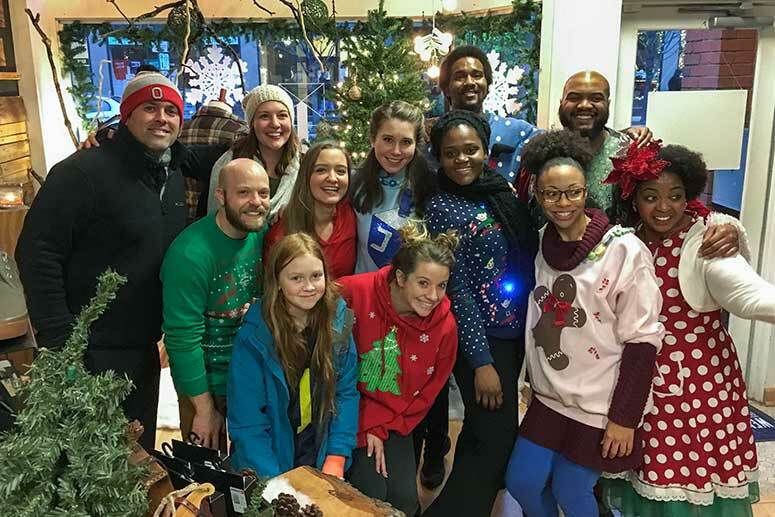 Later in the shopping season, on Saturday, Dec. 9, the Detroit Shoreway Community Development Organization (DSCDO) will host its second annual Wintertide—a celebration of small businesses and the winter season in Gordon Square. The event actually began three years ago, in 2015, with a pilot program called Fall Fest. The event became Wintertide last year, and returns this year with fun for the whole family. Additionally, Lolly the Trolley will shuttle participants back and forth to 78th Street Studios, where Cleveland Bazaar Holiday will be taking place. Wintertide runs from 1 p.m. to 5 p.m., with A Christmas Story showing at 11 a.m. on Dec. 9. Cleveland Bazaar Holiday runs Saturday, Dec. 9, from 10 a.m. to 9 p.m. and Sunday, Dec. 10 from 10 a.m. to 6 p.m. The artists at Lakewood's Screw Factory have missed hosting a holiday market for the past several years. So blacksmith and pottery artist Matt Richards and perfume and scent creator Melissa Hale pulled the group together to start their very own Holiday Market at the Screw Factory on Friday, Dec. 15, and Saturday, Dec. 16. 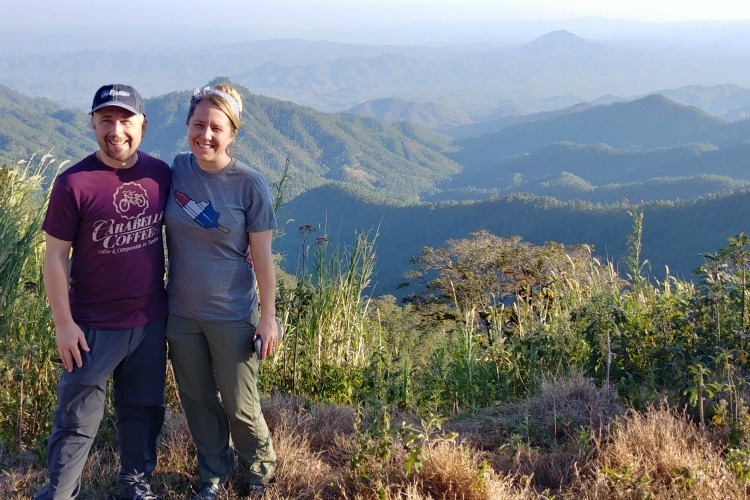 “We sat down as a group and thought, 'Why not start our own event? '” says Hale. Thanks to their efforts, about 30 resident artists with studios in the Screw Factory will open their doors for holiday shoppers. Additionally, 60 outside artists will also set up shop for the weekend in the Lake Erie Room, where weddings and events are held, and the Templar Room by the vintage cars. Friday, December 15 from 6 to 10 p.m.
Saturday, December 16 from 10 a.m. to 6 p.m.
Hale says the selection will include everything from ceramics, photography, and sculptures to pet fashions, leather goods, and folk dolls. Of course, there will also be jewelry, textiles, Hale’s perfume oils, and Richards’ abstract pottery. For those who like to munch while shopping, Five Points Coffee and Tea will be in the Templar Room, Floressa Café will be selling baked goods, and The Bom will be pedaling chocolates and truffles. There is free parking and an elevator on the west side of the building for those who can’t climb the stairs.